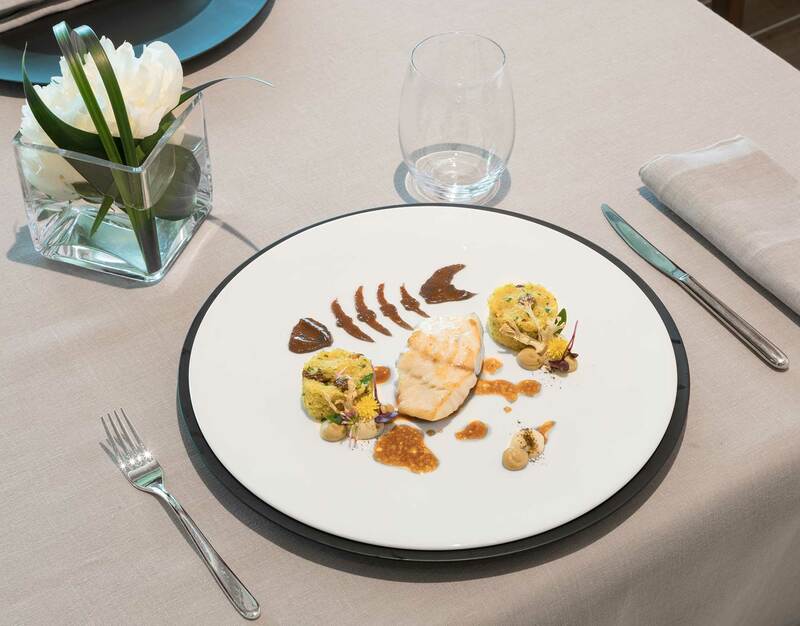 Chef Mauro Grandi creates seasonal menus taking inspiration from his traditional training, and evolving them with interesting choices and combinations. Mediterranean influence meets with oriental inspiration, and modern techniques coexist with the most traditional. Much attention is given to the choice of ingredients, preferring seasonal and locally sourced products which respect the environment and are of the best quality: cereals, vegetables and cheeses, such as the Bouchon of the Muggio Valley and the many toma cheeses from the nearby mountain pastures. Simplicity and authenticity are essential values. Exceptional fish dishes include, sea bass, scallops, lobster, scampi and turbot, and meat dishes find their greatest inspiration in the local game meat, with dishes such as roast venison with hazelnuts, annurca apple and Calvados sauce and honey glazed supreme of Lande Duck with orange and star anise. Experimentation, Research, and Innovation. These are the three concepts that summarize Chef Mauro Grandi’s cuisine and have distinguished his career. From Italy to Ticino, his second home, his exciting career in search of innovation has never lost sight of history and tradition. From his first experiences, to managing the prestigious restaurant of THE VIEW Lugano Fine Dining today, this has been his mantra, although he firmly believes that the past must give way to the future. His research and his experience have led to remarkable results. His cuisine is varied and and his fresh pasta, meat and fish dishes, will satisfy the most demanding palates. Thanks to a desire to research and experiment, Chef Grande has also created a variety of vegan and vegetarian dishes that have met with notable success. This cuisine of excellence is unusually versatile, uses quality ingredients and is elaborated with the correct cooking methods. His unusual versatility is characterized by one common element which is the importance of good food made with quality ingredients and prepared the right way. With passion and dedication, Chef Grandi strives to break new boundaries while never compromising on his choice of quality and local seasonal products. For him, the land and his cuisine cannot be separated. Other prestigious goals, like featuring in the “Riso Gallo guide ” of the top 101 risottos in the world, have been a strong incentive for Mauro to continue researching and producing dishes which follow Feuerbach’s motto that “we are what we eat”. 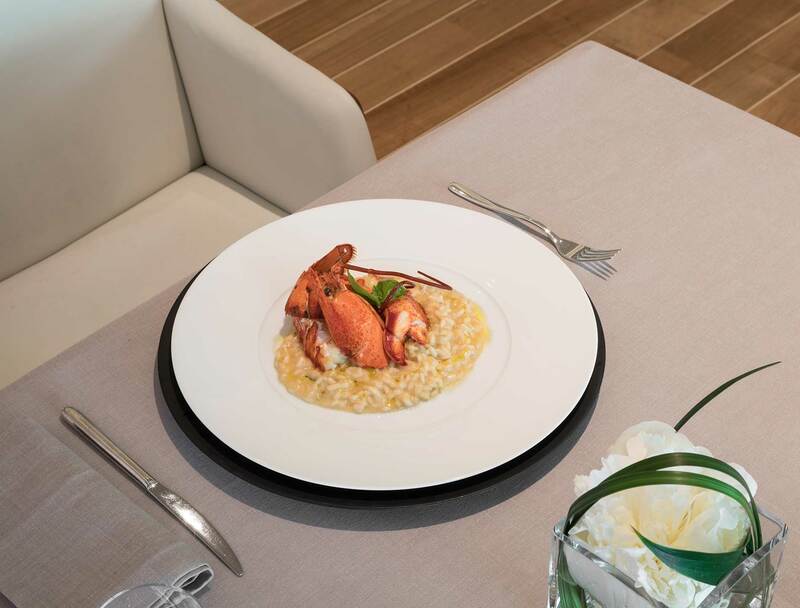 The cuisine of THE VIEW Lugano Fine Dining is innovative and meticulous in its’ choice of ingredients and is accompanied by excellent service and a particularly suggestive atmosphere. 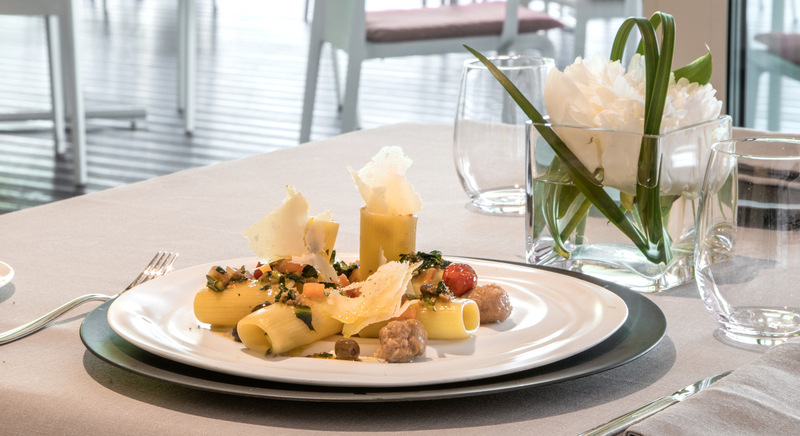 Simplicity and authenticity describe THE VIEW Lugano Fine Dining in a nut shell. 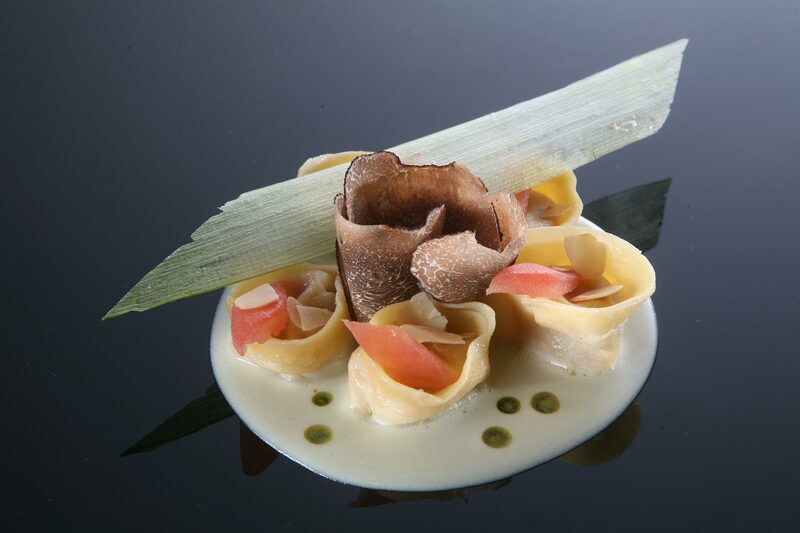 Mauro Grandi’s dishes are Mediterranean, yet influenced by his knowledge of local products, stimulating perfumes and flavors, and a mastery of oriental cuisine. Ability, precision and imagination help him to create elegant dishes of the highest caliber. Taking the basics of classical cuisine and using high quality fresh seasonal products, Mauro Grandi presents his dishes in a uniquely contemporary way. sourced wines and producers with vision with maximum attention paid to new waves.